The C.P. 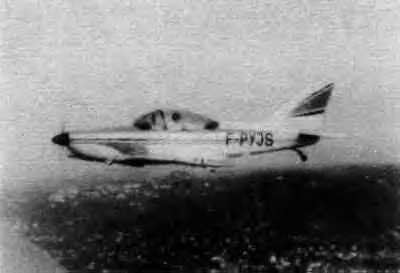 1320 Sapphire is a two plus two (2 + 2) seat*, low wing aircraft designed by Claude Piel. Construction materials are wood & fabric. The landing gear may be built as a retractable or fixed tailwheel. *Two seat, side by side. Plus a rear bench can be added to accommodate an adult (max. 170 lb) or 2 children.